McFail or McFake: Arnold Worldwide creating this mental health parody for Big Macs. So apparently Arnold Worldwide created an ad making light of mental health for McDonalds. McFail. This apparently ended up on a train line in Boston. But something isn’t adding up for me. Adweek.com reports that this ad for McDonalds by Arnold Worldwide was seen in actual execution. An apology from McDonalds was obtained, and Arnold Worldwide admitted that this ad slipped through the process of checks and balances at the agency. I’ve also seen another website report the story. However, I’m a bit skeptical of all of this. It may seem like another agency faux pas like JWT’s gagged girls mistake in India, but the difference is large. For JWT, it seems like an art director leaked a concept of work online. For this alleged McDonalds mistake, this ad would have had to go through so many rounds of approval (internal and client) and trafficked out of the agencies. I’m not saying mistakes like typos or incorrect line spaces don’t happen, but this particular piece of creative does not seem at all likely to have made it out of the agency at all. 1) The funny dots around the text. I don’t like this at all, and this screams photoshop. 2) The phone number. What creative team nowadays would think of putting a phone number on advertising in lieu of a special URL they created for the campaign or hashtag? I’m thinking none. 3) If it’s fake, then why is there a woman with a smartphone obviously taking a picture of it? I’m not sure, but it could be that if it is a fake, whoever created it wanted it to seem real so they placed the fake creative into the smartphone. 4) Agency process. As an account executive, I manage tons of projects. All of them go through the agency process of internal review and client review and traffic and traffic proofs and so many other things that people who don’t work in agencies probably wouldn’t be familiar with. That process prevents ad mistakes like this. Those clues and my thoughts about this may seem a bit “conspiracy theory” like, even for agency brethren. However, for the reasons I stated it just seems unlikely that this was trafficked out of an agency. Especially one like Arnold Worldwide. I’m very interested in knowing if others think this creative was fake. How will Google Glass change advertising? Advertising is changing regardless of Google Glass or innovations like it. However, having a wearable smart device capable of knowing everything you do/see/hear and (having information on those three things in addition to emails/tweets/communications) quite possibly feel means that ads will be much more tailored, and seemingly invasive. 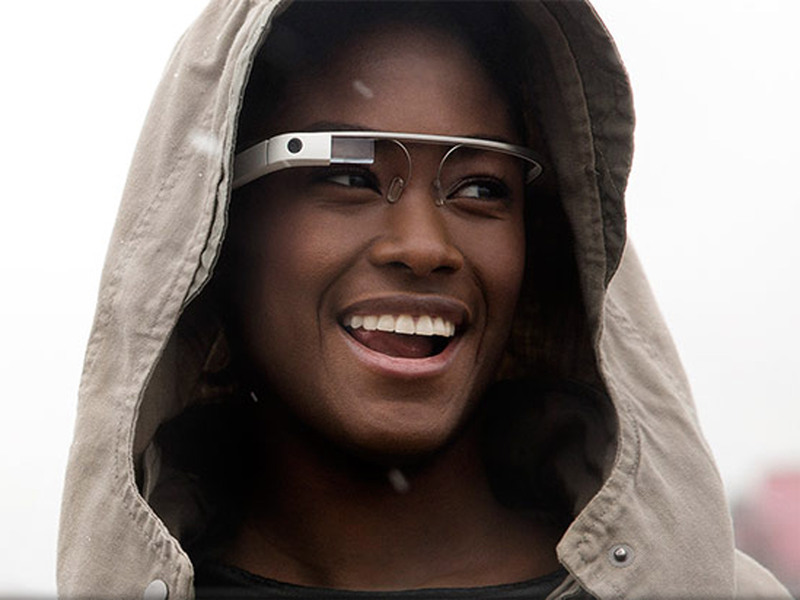 Google Glass could change how individuals want information about the world around them. This change of expectation will influence how advertising may change. The answer to the question “How will Google Glass change advertising”, is a question that I as an advertising professional would go about answering by asking this question: “If I had Google Glass, how would I easily find services/products/people so that my life is improved?”. If I’m traveling in a new city and wanted to find the cheapest vegan options, it would be useful to see vegan restaurants pop up in real life via Google Glass with a indication of how much they typically charge. It would be useful if I were walking down a street and was able to see if other people were interested in the same things I was, and where the nearest bar that served Fruli was located. Unfortunately, I’m going to have to wait to see how Google Glass will completely change my life as I really don’t care to drop $1500 for a trial. I am, however, looking forward to the feedback of those who did.